I am really proud of my students. 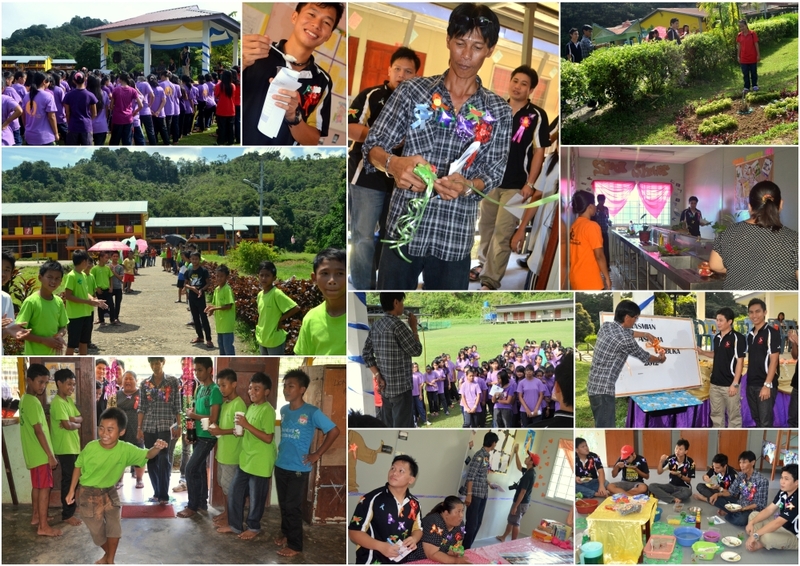 Both the boys & the girls worked hard to make the Asrama Terbuka 2012 a huge success last weekend. Some of them started since the beginning of the year, some at the eleventh hour on the week itself. I'm still pleased because, in the end, all of them stepped up with their best. I did one last year as well. You can read about it here. 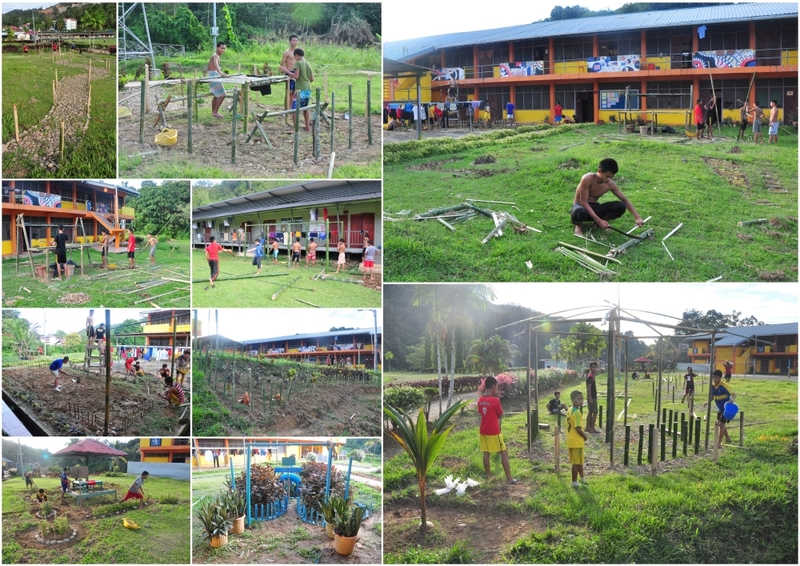 Male students building their bamboo megastructures in preparation. The boys' enthusiasm really took me by surprise. Those who were cold to the idea warmed up after watching their peers come up with awesome gardens. 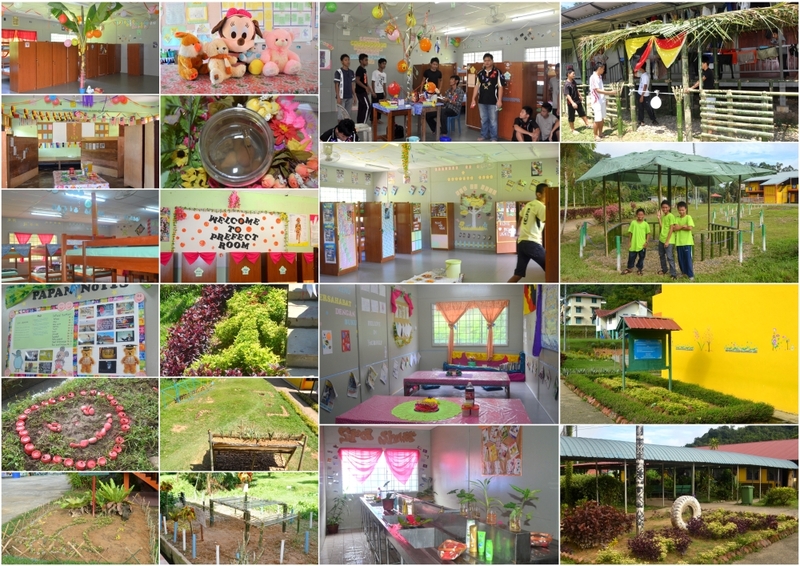 The Asrama Terbuka or Open Hostel Day is the biggest hostel event of the year where the hostel is open for visit. I wanted it to be an event from the students for the students so I did not involve any of the wardens in the AJK. I wanted to give the wardens a break. I appointed key students to form the AJK & they performed very well. All I did was tell them what they needed to do, set my expectations & gave them what they needed. I appointed a student to oversee the whole activity as the chairperson. They had to be resourceful & figure the rest of it out by themselves. My hope is that one day the students will not need any wardens to guide them. They can lead themselves & organise on their own. Although this event was not perfect, it was good enough & a promising stepping stone towards my eventual vision of student leadership at SMK Katibas. Just a few of the many deco, gardens & structures the students created. Here's what happens during Asrama Terbuka. Firstly, the students gather for the opening ceremony. Then, the teachers & staff visit the hostels. They will act as judges for each hostel block & room according to the evaluation forms I printed for them. They judged cleanliness, decorations, gardens, toilets, notice boards & student hospitality. Hospitality is judged based on food, drinks, greetings & special performances. Many students either danced or sang for those points. Highly entertaining! After the teachers & staff have visited all the hostels, the students were allowed to visit each other for the rest of the afternoon. Snippets of the day's activities. Pictures of some key moments. Finally, no event is complete without an evening ceremony to wrap everything up with song, dance & prizes for the best hostel blocks or rooms. That night, I decided to pilot test a competition a number of students have requested from me: a Raja Lawak competition. The competition was so-so. Plenty of impromptu performances that were not funny at all. Only a handful were entertaining. Lots of slapstick or cold jokes. Some jokes were even harsh. Will not organise this competition on it's own in the future. I might use it as a sideshow to another event. I feel that the students were still not intelligent or mature enough to provide quality jokes. I will post up more pictures on my newly started FB page. You can check out more fun moments from Asrama Terbuka or Malam Kerlipan Bintang there. I know that hostel students are not the best. Most of the time, they will disappoint you but give them a great mission with a big enough incentive & they will surprise you. If you're a Ketua Warden, try this activity at your school!